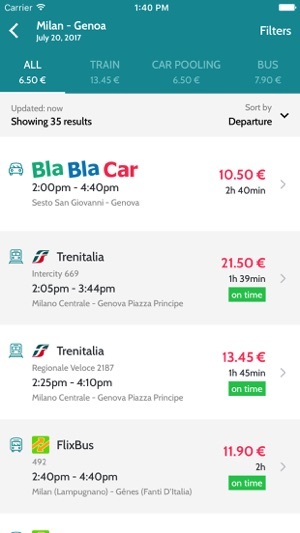 virail lets you search and compare times and prices of any transports from one city to another. 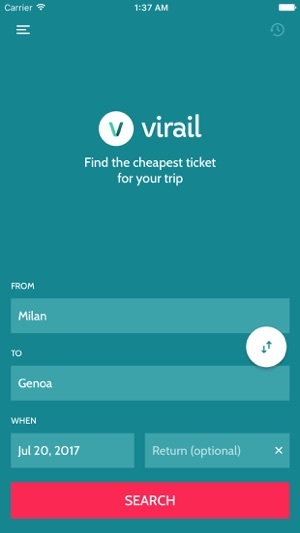 Using virail is easy: type the departure, arrival and select the date to see trains, buses, flights and rides along with trip-related info, everything in a clean and intuitive way. 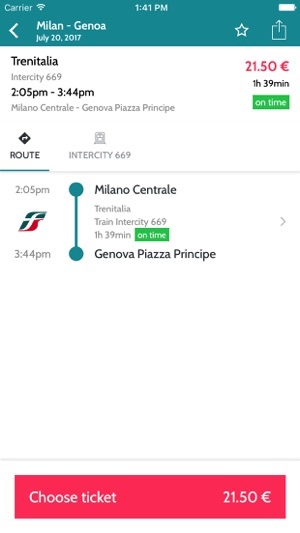 You can also use filters on price, times, stations and trip duration to highlight results that are relevant to your needs. 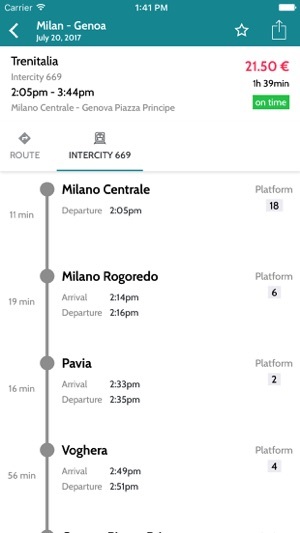 Once you have found the best trip, you can see the details, if there is any change with waiting times and (where available) the current status of trains/buses. You can finally buy the ticket on the company website. Added German, French and Romanian translations. My first apple review on an app since the original iPhone. I had to go back several times and see if there really weren't reviews. Get this app of want to cut down time on searching for quickest routes. Hello briin79, thanks for your feedback! 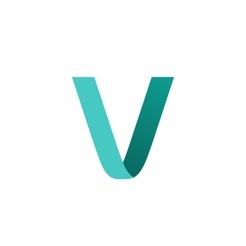 We are working on what you suggested, it will be released in the next future. Saved €1, second trip I had to book at the station.